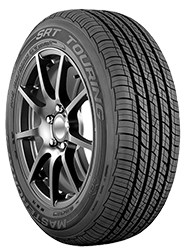 • Low cost Passenger Car Tires – The Avenger LSR has T, H and V rated sizes for touring vehicles of all makes and models. This is an excellent, long-wearing tire for the money. There is also an Avenger G/T with raised white letters for Muscle Cars. The A/S IV is the cheapest Mastercraft tire. It is available in a wide range of late-model car tire sizes, and a good fit for a tight budget. • Reliable Light Truck, SUV and CUV Tires – Mastercraft has over a dozen tread patterns in the Courser family of tires in hundreds of sizes. The product range runs from extreme M/T traction tires (the Courser MXT), to long lasting, quiet and fuel efficient highway tires (the Courser HSX). 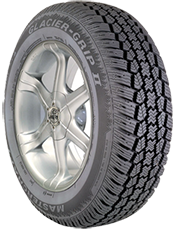 • Great priced Winter Tires – The Mastercraft Glacier-Grip II and the Courser MSR for SUVs both have dense concentrations of zig-zag, full depth sipes in the tread blocks for extra traction on snow and ice. With the backing of American ingenuity, tire building know-how, and a commitment to quality and value, Mastercraft is an excellent choice. Let Rick help you select the best tires for your vehicle!